GRENOBLE, France, April 16, 2014 (ENS) – A single-celled green alga that can tolerate extreme conditions may soon be widely used to clean up radioactive effluents and wastewater from nuclear facilities in an inexpensive and environmentally-safe manner. Most organisms are killed by the radioactivity, but the micro-alga Coccomyxa actinabiotis is extremely radioresistant and strongly accumulates radionuclides. Coccomyxa actinabiotis can resist a radiation dose of 20,000 grays (Gy), about 2,000 times the lethal human dose. The gray is a unit of ionizing radiation dose defined as the absorption of one joule of radiation energy by one kilogram of matter. By comparison, humans exposed to a fraction of this level of radiation, five or more gray (gy), usually die within 14 days. In 1986, the Chernobyl nuclear accident resulted in human exposures up to 16 gy, causing 28 deaths in the first three months. 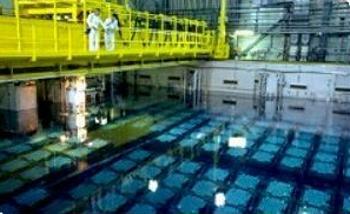 Microorganisms, including algae, already are used widely by the nuclear industry to help manage waste by-products. But they have high operating and equipment costs, require heavy maintenance and generate large volumes of radioactive waste. The discovery of the new alga, Coccomyxa actinabiotis nov. sp., which uses photosynthesis and metabolic processes to take up contaminants, creates the potential to develop cheaper and more environmentally-friendly solutions for decontaminating radioactive effluents and wastewater. 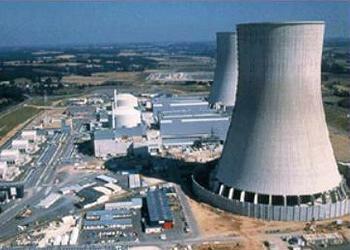 Scientists in France discovered Coccomyxa actinabiotis in a cooling pool for spent fuel at a French nuclear facility. After analyzing the properties of this unique species, researchers now foresee new strategies for the bioremediation of radioactive contamination. Inventors Corinne Rivasseau, Emmanuel Farhi, Alain Coute, Ariane Atteia have applied for a U.S. patent for Coccomyxa actinabiotis as a radioactive cleaning agent. The potential of Coccomyxa actinabiotis is being explored by the research team, which includes scientists from Grenoble University, Montpellier University and Institut Laue-Langevin. They are collaborating with scientists in the Division of Nuclear Energy in a government agency known as the CEA, the French Alternative Energies and Atomic Energy Commission. In one hour, the scientists say, Coccomyxa actinabiotis has proved as effective as conventional physico-chemical ion-exchangers in purifying radioactive effluents. Using this organism, an efficient real-scale radionuclide biodecontamination process was performed in a nuclear fuel storage pool with “an important reduction of waste volume compared to the usual physico-chemical process,” the scientists report. Coccomyxa actinabiotis are photosynthetic and need light to perform photosynthesis and produce their organic matter. Their growth can therefore be controlled by illumination. In order for them to grow at a given place, it is sufficient to illuminate them, the scientists say. In the pool where they were discovered, they proliferate close to the light sources. When they are placed in the dark for a period of two days to one month, their growth stops. The CEA and the Institut Laue-Langevin have put together a bioreactor pilot study based on Coccomyxa actinabiotis to provide a proof of concept, which will optimize the bioremediation strategy. The pilot-scale treatment unit removes highly radioactive effluents, including carbon-14, uranium-238 and cesium-137. “Work in other industries indicates that decontamination using bioremediation technologies could be equally as efficient, but cheaper and more environmentally-friendly. But none is currently operational in highly radioactive environments,” explained Brown.